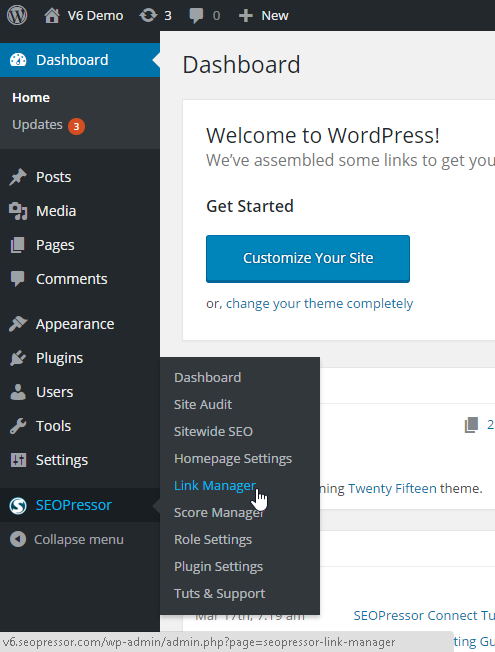 We have looked into the SEOPressor Link Manager in the previous tutorial. In this tutorial, we will be looking into Automatic Smart Linking. 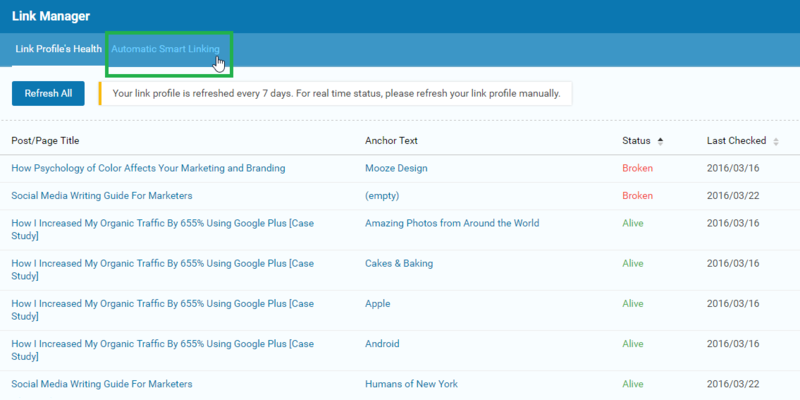 This feature will automatically insert a designated URL to your keyword in each post. You will be directed to Link Profile’s Health under Link Manager. Step 2: Click ‘Automatic Smart Linking’. 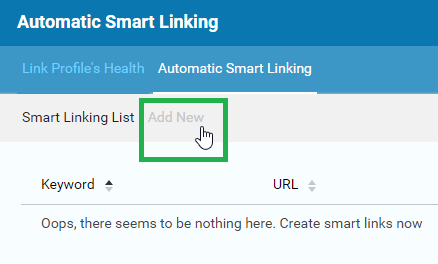 Step 3: If you haven’t created a Smart Linking yet, go to the next tab, ‘Add New’, which is still under Automatic Smart Linking. Here is where you add the Automatic Smart Linking. 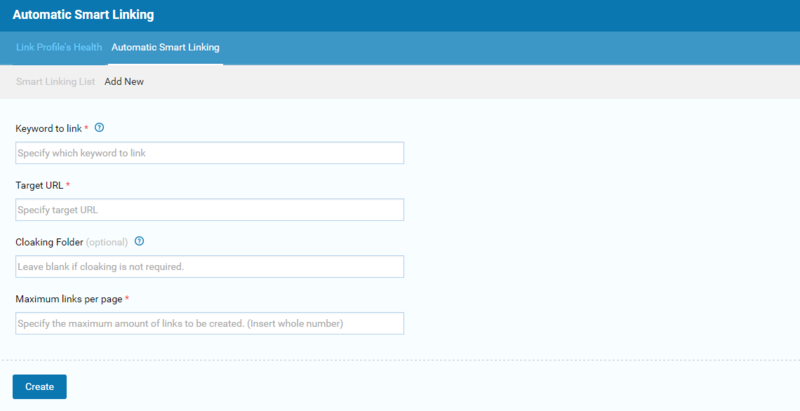 Step 4: Fill in the keyword that you want to be linked. Step 5: Fill in your targeted URL. Just a reminder, any URL that doesn’t have the same domain name as your current WordPress site is known as an external link. Step 6: Name your Cloaking Folder. You can cloak your links to change how it appears to your visitors. However, this is optional. The reason why it is called ‘Cloaking’ is because your external link will be disguised as an internal link. When you do cloaking, you have to be careful on which links you are using. Please cloak links responsibly and ethically to prevent your website’s credibility from getting affected negatively. Step 7: Fill in the number of times you wish for that keyword to be linked. For example, if you have 5 keywords on that page, you might want to link only 4 of them. So, you fill in ‘4’ in the field. Final Step: Click ‘Create’ once you’re done. This is all you need to create an Automatic Smart Linking.